Started on the 17th and 18th of February with two concerts on the West Australian city of Perth, the tour will cover two other cities in Australia Melbourne followed by Wellington in New Zeland to return to Sydney’s famed Opera House, ending on the 26th in Brisbane. Tembembe Ensamble Continuo accompanies Hespèrion XXI on this tour performing Folías antiguas & Criollas, a program that covers the history of this famous tune through is transformations between the old and the new world. 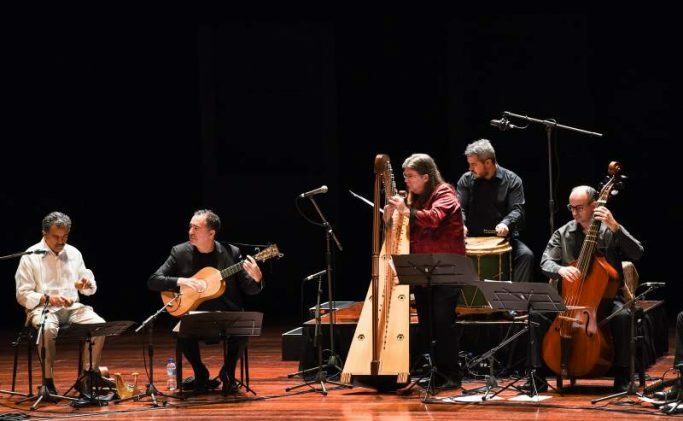 Jordi Savall directs a program with David Mayoral, Francesc Xavier Puertas, Andrew Lawrence-King, Xavi Díaz, members of Hespèrion XXI, and Edmundo Barona, Ulises Martínez, Leopoldo Novoa, and Adelaida Coronel of the Tembeme, specialized in Early Central and South American music.